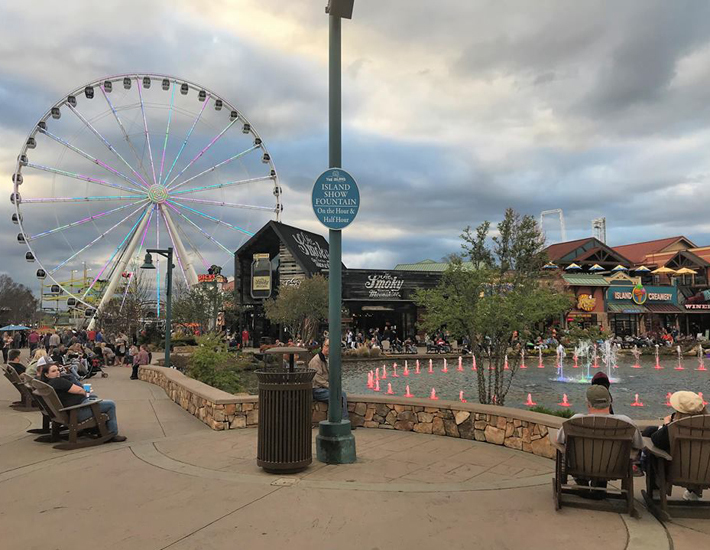 1) Visit the Island at Pigeon Forge. There is so much to see and do there, but really you don't have to spend a dime. It's plenty big enough to walk around just to tour all of the shops, see the water fountain, the giant Ferris Wheel and listen to live music. They also offer free trolley rides. 2) Tour downtown Gatlinburg. This is one of my absolute favorite places. I love the atmosphere of Gatlinburg. There are endless shops on both sides of the road, beautiful flowers, several attractions, places to grab a quick bite to eat, trolley rides and live music as well. I love that you can walk to everything in Gatlinburg. 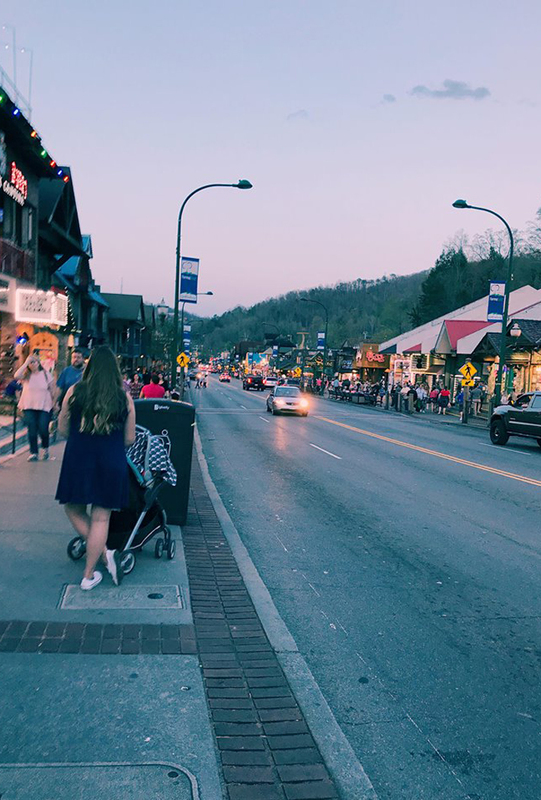 I don't care if I spend a dime at all in Gatlinburg, I just love walking up and down both sides of the streets and sightseeing everything. 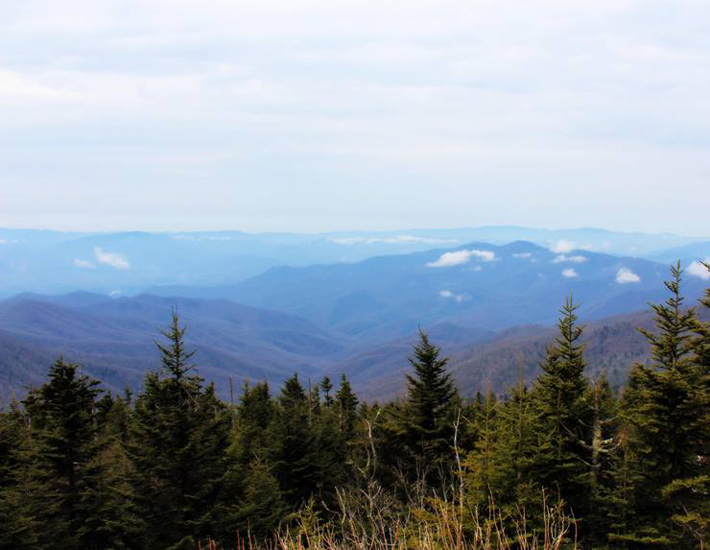 3) Drive to the top of the Smoky Mountains National Park. Here you will see this breathtaking scenery and you will also be on the Tennessee/North Carolina Line. There truly is not a more beautiful sight. You also will have the chance to see several wildlife on your way. It's the prettiest scenic drive you will ever take. 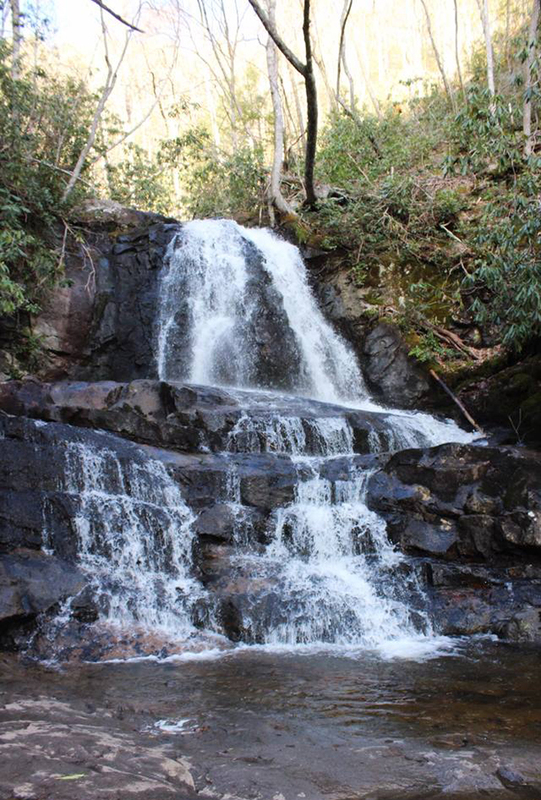 4) Hike to the amazing Laurel Falls. This hike is paved and is around 2.6 miles. You will never regret hiking to see this beautiful 80 ft waterfall. It was my favorite part of my whole Tennessee trip. The waterfall is breathtakingly beautiful and the sound of the water is so peaceful and relaxing. 5) Hike to Clingmans Dome. This is a fully-paved half mile hike, but it has a steep incline. 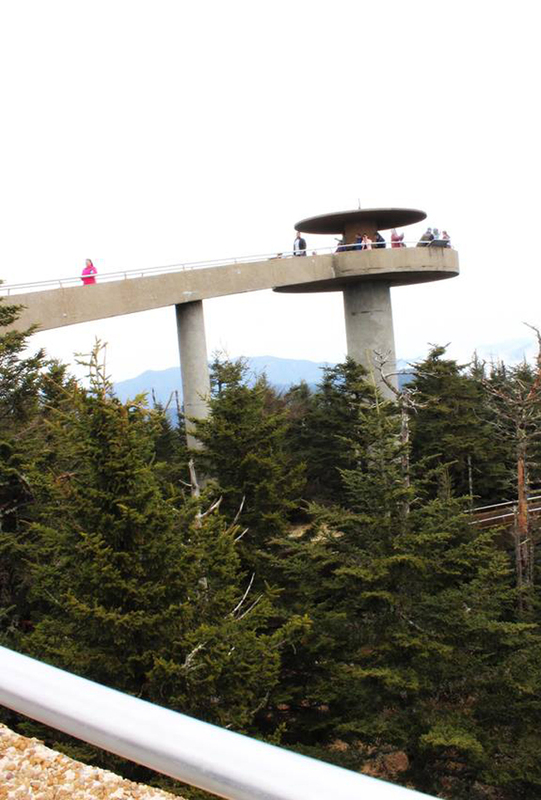 Clingmans Dome has the highest point of elevation in the Smoky Mountains at 6,643 feet. It lies within both Tennessee and North Carolina. While standing on top, you can see miles and miles of beautiful mountains. It's one of the greatest and longest views you will ever see. So if you are on a small budget or just trying to save money, you can still have a great vacation. 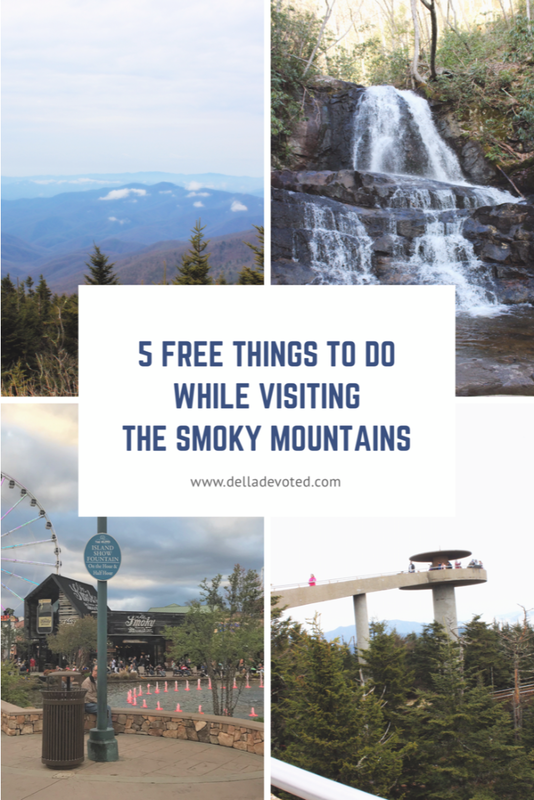 These 5 Free Things To Do While Visiting The Smoky Mountains is enough to keep you busy. You will enjoy yourself far more so by taking in all of the beautiful scenery than you ever could spending money. Don't think you can't have a good vacation just because you don't have much money to spend. Our vacation is proof that there is plenty of free things to do that are sure to make for great memories.